Live in the land of mist..nahh just kidding..
A few more teaser trailers for your pleasure. For thousands of years, vampires have lived in the darkness, travelling in the shadows to feast on human blood. A silent war has been going on since the beginning of time, between the humans and the vampires. The reason for their hatred towards each other, no one knows. The fight between them shall go on for eternity. Unless, of course, something were to happen that would stop it. Even if it were the most forbidden thing for any human or vampire to do… fall in love with each other. “Rena.” A short young woman with her hair in a ponytail called out to a certain hunter with long black hair, dark brown eyes, and porcelain white skin. She had been practicing her shooting until she heard her voice. The girl put down her gun and walked over to the shorter woman. “I know what to do,” Rena saluted to her group leader. She retrieved her gun and refilled it, putting a few extra bullets in her pocket, just in case this vampire happens to pick a fight. “Rena-chan!” She felt a pair of arms hug her waist and a familiar voice call her name. She turned and saw none other than Jurina hugging her with her catlike grin. Rena pondered on the younger girl’s thought and looked out the window. Indeed, it wasn’t even dark out yet. She knew vampires only came out at night and rarely ever in the daytime, and while they were stronger in the dark, especially during a full moon, she figured Black would be easier to find once the sun went down. “Yay~ Thank you, nee-chan!” Jurina hugged the girl again. Ever since Jurina became a hunter, Rena always had to look after her spoiled little sister. Jurina was always seen clinging to Rena, always by her side. Even when Jurina was a baby, Rena had taken care of her from the start. Jurina was born when Rena was six years old. Her parents showed the young Rena everything she needed to know on raising baby Jurina. She had watched Jurina grow and mature, from her first steps, to speaking her first word (which was, in fact, Rena’s name), every second, every day, she was with her sister. Playing games with her, walking her to school, cheering her up when she was sad, and letting her sleep with her when she was scared. When Jurina was 15, their parents were killed by a vampire. The two siblings were left alone to care for each other, trying to survive in the world on their own. Without Rena, Jurina would have nothing. She was the only family she had left. So, when she was finally old enough, she became a hunter like her sister, so she could protect Rena from those awful creatures, and to make sure no child would end up in the same fate they were, or worse. Now Jurina is 18, and she’s matured into a beautifully blossoming young lady. She would still act a bit spoiled and maybe a little childish sometimes towards the elder girl, but Rena still loved her sister and was there to take care of her. “Mou~ don’t be mean~” Jurina pouted. “Rena,” Another voice called out as the two were walking down the hall. Rena saw a short figure along with a tall, boyish looking figure. She immediately recognized them and smiled. “Yo, Yuuchan, Sae-chan!” Jurina immediately hugged the two girls. “You know her?” Rena’s eyes widened. “Know her? I fought her. That’s why I got this!” Sae pointed to her own collarbone, where a scar had marked her skin. “That was from her? !” Yuko said in surprise. “Yuko!” Sae slapped her shoulder slightly. “I told you, I don’t go by that anymore,” Rena giggled. “Jeez, Sayaka, you’re such a buzzkill,” Yuko sighed before receiving a slight grin from the tall woman. She and Sae went off as Sayaka turned to the two siblings. The two giggled at the comment. “You go on and get warmed up,” the tall girl patted Jurina’s back. “Hai!” Jurina saluted and went off. Sayaka then turned to Rena. “But not me,” Rena grinned. “She won’t break this,” she pointed to her head. “Yes, ma’am,” Rena saluted to Sayaka. Sayaka saluted back and walked back down the hall. Sayaka was the leader of the group. She was definitely one of the strongest hunter’s the team had, along with Takamina (who was in charge of combat training) and of course Yuko. She, Yuko, and Sae had been together since they first became hunters, and knew everything about each other. Also on the hunter team was Mayu. While she wasn’t as strong physically, she had perfect accuracy with a gun and an IQ of a whopping 205. She could obtain any and every piece of information on anything and everything in the world; a human encyclopedia. If there’s a way Rena can defeat Black no problem, Mayu is sure to know it. She walks over to intel and sees Mayu in front of several computers. She seems tense, pounding away at the keyboard. When she finally stopped and sensed Rena’s presence, she stood up and stretched her arms. Mayu then walked to another corner of the room, where dozens of metal cabinets were at. After some searching, she pulled out a folder containing Black’s files. “Here you are.” She pulled out a couple of pages from the folder and handed them to Rena. Rena left and looked through the files as she walked down the hall. Rena’s eyes widened when she saw that word. “A Royal..? !” she whispered. She had never faced a Royal before. She had heard that they were extremely powerful and dangerous, that it was almost impossible to kill one. Rena is starting to worry. She’s afraid that she couldn’t make it after all. She then looked back down and continued reading. Rena covered her mouth, trying not to scream. Rena gulped as she continued reading. Rena looked away from the files. Now she was feeling really nervous about this mission. She had never thought she was going to go up against a vampire as fierce and powerful as Black, let alone, a Royal. She looked at her gun, reading an engraving etched in the side. She developed a serious look on her face as she held the gun close and thought back to that night, the moment she decided she wanted to become a hunter. It was the night she lost her lover. Someone she had loved her whole life, and she had lost him to the very vampires that she hated more than anything. Rena then looked up and saw Sayaka and Takamina looking at her. Once it was dark, Rena started the search for Black. She went to the scene by motorbike. “Scene” isn’t the right way to put it, for it’s just a place where the yakuza usually roam around at night, smoking and gambling and doing heaven knows what. She began searching the city, looking for any strange activity occurring. Rena parked her bike somewhere further from the place and covered it, in case someone noticed it and alert the others. She wandered around, always staying alert. As an experienced hunter, she knew better than to let her guard down. She went in the direction of the docks, it was empty except for a couple of boats floating on the water. Suddenly, she heard something. Her head sharply turned in the direction of the sound, trying to find who, or what, was causing it. “Who’s there?” she called out. Taking her gun out of its holster, she crept towards the source of the sound. She pointed her gun, searching for what could’ve been making the sound, when she saw a pair of glowing red orbs shining in the darkness. Just then, a gust of wind blew by and the orbs were gone. She felt a strong presence behind her that sent chills down her spine. She slowly turned around, coming face to face with the very vampire herself, Black. She disappeared again and Rena could hear her voice in her ears. Just then, that same chill came as Black whispered coldly in her ear. Rena aimed her gun and shot a bullet, but Black was gone again. Rena looked around blindly in the darkness. Black appeared to her left. Rena shot another round, but Black was gone. Rena turned around and shot another bullet, but still, the vampire was nowhere to be seen. Round after round, Rena shot and missed. Soon, her gun was emptied. “Damn it!” Rena put her gun back and pulled out her dagger. It was made of the hardest steel mixed with silver, which was deadly to the touch of a vampire. On the blade was carved the initials “M.R.” It was a gift from her father. She held out the blade, slashing it whenever she saw a chance to strike. Each time she saw those red eyes, she’d attack, but miss as she’d disappeared the very second after. This game of cat and mouse continued for an hour. Rena was starting to grow weak and was running out of breath. She could feel her heart pounding in her ears because she had used up so much of her stamina from fighting. She fell to her knees, trying to catch her breath. She suddenly froze, for she felt a cold hand cupping her neck from behind. Her body couldn’t move and she wanted to scream, but couldn’t find the strength. “This is it then? 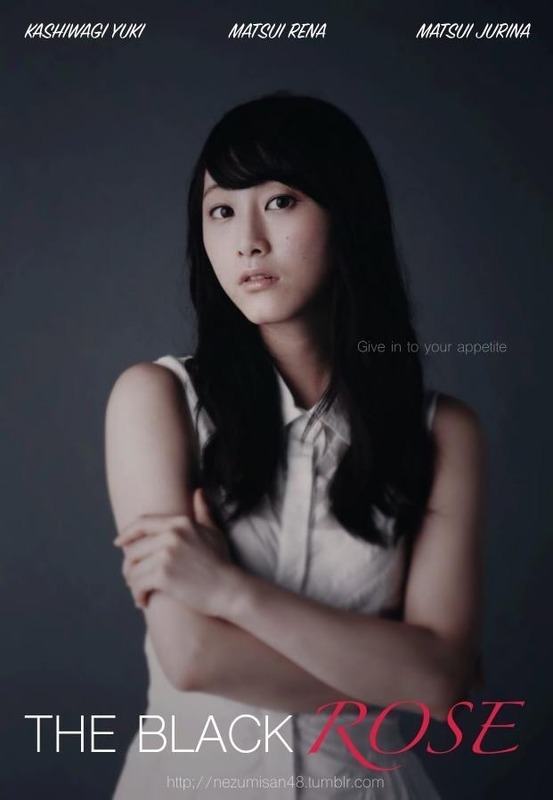 I’m going to die?” Rena closed her eyes. She then felt a sharp pain as the vampire bit into her neck and started drinking her blood. Rena began to struggle, trying to break free from Black’s grip. However, the next moment, she fell limp. She was hopelessly trapped as Black continued to drink her blood. Her vision blurred as she felt her body turn cold and she passed out. Oh, hello~ Nice of you to drop by. Okay I will read but first promise me you won't leave it because you already leave so many your fic. Okay Taro relax and read, I will tell you how it is. Waiting for updates you make my day. Black released Rena’s neck and held the unconscious girl in her arms, licking the blood off her lips. The flavor of it still lingered in her mind. She had never tasted blood so sweet. She looked at the girl in her arms. Rena looked like a sleeping princess, except for that scowl that was etched on her forehead. Black suddenly felt sorry for the girl. She moved aside some of her hair where the bite mark was and gently kissed it, making it heal. She then picked up the girl’s fallen dagger, however, after feeling the silver burn her hand, she dropped it. She thought about what to do with the dagger, when a thought came. She tore off a piece of her clothing and wrapped the knife in the cloth, so the silver metal wouldn’t touch or burn her. She placed it in her pocket before lifting Rena up, carrying her as she walked through the shadows of the night. With a title such as “royal”, Black owned a grand mansion secluded in the deepest, darkest part of the city. The doors opened widely as Black walked in and closed behind her, the loud echo of the doors creaking and closing shut resonating through the empty manor. She walked up the stairs to an empty bedroom; Black never needed it, since she rarely ever slept, but it was always just there in the mansion. She laid Rena down on the bed and watched over her silently as she slept. Silver moonlight shone through the window, illuminating the girl’s porcelain skin. It was the very night Rena and Jurina’s parents were killed by a powerful vampire. Black was there when it had happened. She saw how the two girls cowered in fear, crying over their parents’ lifeless bodies, as the monster crept forward, eying the two. In a panic, Rena had picked up her father’s gun and pointed it at the vampire. Her hand shook as she aimed it, threatening to kill him. Black saw the whole thing unfold. That monster, an evil, merciless Royal vampire, was going to take the lives of those two innocent children. It was a miracle that their parents had arrived to save them. However, at the cost of their own lives. The vampire smirked as he stared at them. “We shall meet again,” he turned and left the two. Rena held her younger sister as she cried into her chest. He looked at Black and smirked again. Black felt disgusted by herself. Why did she care so much for those two human girls? And specifically of the two, Rena? She had felt guilty when she saw the two at their own parents’ funeral. There was this burning pain in her chest whenever she saw Rena’s face, a mix of grief and anger in her eyes. She didn’t know why she let the girl catch her attention. Just every now and then, the memory would pop back in and out and always remind her of the girl. She simply sighed and looked back over at Rena. Before her fingers could touch her, however, Rena’s eyes snapped open and she looked straight into Black’s. Black pulled her hand away and slowly stepped back as Rena sat up from the bed, completely in shock over the situation. Black took out the blade wrapped in cloth. However, she hesitated on giving it back, as she knew this girl was out to kill her. “I think otherwise…” Rena growled as her hand balled into a fist. No weapons meant she was left to fight with her bare hands. She ran up to the vampire and swung her arm to punch her, but immediately missed. Black wasn’t going to use her speed this time; it would only cause more trouble. She wasn’t going to fight, so she was merely relying on her reflexes to dodge. “Vampire..! I’ll kill you!” the hunter roared as she ran to attack Black once again. After a few dodges, she was able to catch the vampire off guard and landed a punch on her cheek. Soon after her guard was weakened, she was stricken down by another punch. She touched the blood on her lips with her thumb. Black knew it’d be bad having this girl who’s out to kill her in her own home. And if she let this girl leave, she’d still want revenge and come back for her with more than just a gun and a silver blade. If she told the other hunters her location, it’d mean the end of her. She had no other choice. She had to make Rena forget. Before she could land another punch, she quickly grabbed Rena’s fist and pushed her down, making them switch positions. She pinned both of her wrists to the floor as Rena struggled to be released from her grip. “Let me go! I’ll kill you! I’ll kill you once and for all, vampire!” she yelled angrily. To hypnotize somebody, one needs to look straight in the eyes. But with Rena thrashing around, Black found it to be a bit more difficult. She needs to catch her off guard, make Rena look at her eyes. She smirked as an idea crossed her mind. With some difficulty, Black managed to grab both of Rena’s hands in one hand, and at the same time grab Rena’s face with another. She held her chin and touched her forehead against Rena’s, their lips just inches apart. “Let go..!” Rena tried to struggle out, but Black maintained her grip. Her eyes locked on the vampires, staring into the pitch black orbs against her will. “Don’t fight.” Black said softly. Rena’s struggling ceased, but she was still trying to break free from her restraints. “I said don’t fight.” Black said in a more forceful tone. After that, Rena’s struggling finally stopped. Her eyes lost their light and become empty and lifeless. Black stood up while pulling Rena with her. She released her hands and they both fell limp at her sides. She smiled as she kept staring into Rena’s empty eyes, further hypnotizing her. Rena obediently turned around and left the room. Black shut the door as she took out Rena’s blade. She knew she had to return it. She couldn’t keep it. She placed the cloth covered dagger on her dresser. Then, another idea crossed her mind. As Rena was walking down the city streets that night, she dialed a certain number on her phone. She heard it ringing on the other line before the person picked up. “Rena. Did you find her?” Takamina’s voice answered. As she hung up, Rena walked back to where she had parked her motorbike and started riding across the city streets. That night, she road alone as she was contemplating on how to face that vampire. More importantly, she knew she had to find her dagger and get it back. It was important to her; she needed to find it fast so she can kill that vampire Black. Rena finally arrived home and parked her bike outside beside of Jurina's bicycle. She walked inside the house and saw that there was only one light on, coming from a lamp in the kitchen. There, she saw Jurina, sleeping on top of the counter table. There was an empty plate and glass in front of her, implying that she had finished dinner, as well as some homework papers from her school. She is still in high school, after all. Rena smiled and pet her younger sister’s hair as she looked at her sleeping face. “You really won’t change, will you?” she whispered before picking Jurina up into her arms and carrying her to her bedroom. She smiled slightly, seeing how Jurina cared for her so much. Rena set her down in the bed and tucked her in. She then gently leaned forward and kissed her forehead. Two days had passed since Rena had seen Black. She had disappeared from Japan without a trace. They weren’t even able to find her mansion, even though Rena remembered the exact path of where it was. She knew that the vampire must’ve been planning something. But, in any case, Rena continued to lay low so Black wouldn’t catch what she was doing. She remembered how she was able to resist Black’s hypnosis and faked having her memories erased. Now, the vampire wouldn’t be suspicious of Rena coming back. Then, like a stealthy panther eying her prey, Rena would pounce and kill Black when she finally cornered her. Rena and Jurina were training together when Sayaka called all the hunters together. They all stood in front of the tall girl as they saw a very happy face on her. “I have good news. We just got a new hunter in. She’s going to make a very formidable ally. Come on,” she called the person forward. The girl smiled as she pulled some of her raven black hair behind her ear, smiling as she looked at them with dark, almost pitch black eyes. I wanna know what happen to the organisation after Yuki join! I'M SORRY FOR MY BAD ENGLISH! ! ! ! ! This fic is awesome so far! I can never get enough of YukiRena! Thanks for writing for this awesome pairing who needs more love! Wow, Yuki enters the fray! I wonder what Rena's gonna do now? There's definitely going to be some great stuff coming up in this fanfic! I can't wait for the next update! Castle (wMatsui, MaYuki, and SayaMilky) - HIATUS? “It’s nice to meet all of you. My name is Kashiwagi Yuki. Yoroshiku onegaishimasu,” Yuki bowed in front of the group of hunters. Just then, Rena quickly pointed her gun in Yuki’s direction. Everyone backed away, shocked. Takamina silenced her and leaned in her ear. Rena felt weak at that statement. Not because of the melonpan (because she loved melonpan), but because now that everyone saw her make a scene, she was going to have to hide her hatred towards the now human-disguised vampire girl. Rena saw Takamina wink as she said one of her many catchphrases. She walked up to Yuki, giving her a glare before faking a smile. They bowed to each other, and when Rena looked up, she saw Yuki give a slight glare. She then heard her voice inside her head. Rena scowled, not showing the others however as they smiled and Rena started to walk back. She heard Black speak in her mind again. After that, they took a short break from training. As Rena left the room and walked down the hall, she saw a shadow flash by her and Black herself appeared in front of her. Black entered the hunter base while Sayaka and Takamina were practicing one-on-one late at night. When the two saw her, they immediately took action. Sayaka was the first to approach her and threw a punch. Black caught her fist and twisted her arm behind her back, locking her gaze. Before Takamina could head to the armory, Black held out her arm and made Takamina stop in her tracks, unable to move her legs. Black took her chance to escape while Sayaka was distracted. She grabbed Sayaka and pulled her down, staring into her eyes. Black then looked at Takamina straight in the eyes. Takamina immediately tried to look away, but Black appeared in front of her and held her chin, making her look at her eyes and hypnotizing her. “Kashiwagi Yuki.. join hunters…” both spoke in unison while under trance. “Why you..!” Rena was about to punch her when Black vanished and reappeared behind her. Black started to leave and Rena scowled at her before turning to leave as well. As the vampire was walking down the hall, she was searching for a certain room. “Where do they keep all the information around here..?” she mumbled silently. As she was looking around, she ran into a certain hunter she recognized as Sashihara. She saw her with Minegishi Minami before when they were training, and she seemed to have a bit of trouble with training because she was jumpy. Minegishi kept calling her “hetare” because of it. “Oh really…” Black smiled inside. Black stopped the hunter’s ranting as she stared into her eyes and she was hypnotized almost immediately. Sashihara then turned to the wall and slammed her head into it, falling unconscious. Black was actually surprised. She knew that there were humans who were weak toward her hypnosis, but this is a first. She then heard someone humming and saw Minegishi coming this was. When she saw the situation, she nearly screamed. Black didn’t wanna hear this same lecture so she looked at Miichan’s eyes and she was entranced in a matter of seconds. She smiled like an idiot with empty eyes. Miichan did the same thing as Sasshi and smacked her head against the wall. She was out like a light, landing on top of Sasshi. “Well, that went well,” the vampire smirked. No… “Furious” is just an understatement. Rena was beyond pissed to an extent that there was nothing she could do to cease her own anger. Well, it’s not that she wanted to anyway. She kept punching the bag in front of her hard as she kept thinking about that vampire Black. The thought of her only riled her anger more. She kicked, punched, she did everything to just get her anger out completely. Jurina happened to notice her sister seemed rather stressed and approached her. As if she didn’t hear her sister, Rena kept on punching the bag. The next thing Jurina saw was a fist flying her way, thanks to her fast reflexes, she dodged it. Rena saw Sayaka’s eyes were sincere. She sighed. “...Fine. Let’s go, Jurina.” She went out without waiting for her sister. She quickly went to catch up with her older sister, who was already outside the building waiting for her. “C’mon, I’m hungry~.” Jurina chirped as she clinged to Rena’s arm. Rena let her sister cling onto her, because she felt guilty for her sudden outburst. Later that evening, Yuki was finishing up a long day of training when she saw Sayaka getting ready to leave. Yuki bowed to her senpai as she grabbed her things and left the agency building. She followed the address Sayaka had given her until she reached the apartment building Sae lived in. Standing outside, Yuki counted the windows until she found the ones that belonged to Sae’s flat. She walked up the stairs to the floor where her apartment was. The lights were on, that means Sae’s at home. She walked up to the apartment door and knocked. “Coming~” A voice answered from the other side. When the door opened, she came face-to-face with a person she hadn’t seen in quite some time. A familiar face, of someone who, like Rena, had tried to killed her. When she met the girl’s gaze, she saw the spark in her eyes that showed she recognized her as well. “You tried to kill me, you murderous vampire,” Sae growled lowly as she shut the door. The boyish girl grabbed a kitchen knife and held it in front of her. Gripping the knife tightly in her hands, Sae charged. She either forgot about their previous encounter, or she just didn’t care. The hunter was bent on killing Black. Wanting to end it once and for all. Either way, Black wasn’t going to let this hunter get in her way. Sae was just a human, after all. As Sae charged, she spun around and dodged the oncoming attack. As she turned, she thrust her elbow into the hunter’s back, knocking her down from the strong force. Black smirked. The expression of Sae’s angered face was priceless. “Still doesn’t compare to Rena’s angered expression, though,” she thought back in her mind. She held up one finger and taunted Sae. Recovering from her fall, Sae advanced again. That spot on her back where the vampire hit was still throbbing painfully. “You really haven’t changed from back then,” Black smirked. Black’s face turned serious. As Sae was about to charge with the knife again, she pushed her back and sent her flying to the other side of the room, hitting the wall. The vampire slowly approached Sae, looking down on her as she was unable to get back up from the pain. She knelt down and held Sae’s shoulder, pushing her against the wall. “Stay away from me,” Sae tried to push her away, but Black got closer. The vampire leaned in and kissed Sae’s lips. She was frozen as her lips pressed against Black’s, unable to move as if some poison had gotten into her. And without her knowing, she found herself staring straight into Black’s eyes and falling under her spell. The knife dropped to the floor and Sae’s eyes closed. She started responding to the kisses and her whole body was heating up from the sensation. Seeing that the hunter was getting into it, Black swiped her tongue against Sae’s lower lip and proceeded to deepen the kiss. The latter’s arms wrapped around Black’s neck and pulled her in further as they indulged further, their tongues intertwining. Black gave a little teasing nibble at Sae’s bottom lip before pulling away, seeing Sae’s glazed eyes and a pleased expression. She bit into Sae’s neck and drank her blood, a small yelp escaping the hunter. The pain was soon replaced with pleasure and Sae clutched onto Black’s shirt, her heart racing. Black licked her lips as she separated from her. She held up Sae’s chin and smiled. Page created in 0.603 seconds with 18 queries.